Didn't see any recent reviews so thought I would submit one. App works great and so easy to use. Love GH magazine! This app didn't do as promised or I didn't follow instructions. Regardless, not worth the hassle for me. Total thumbs down! Have no problem scanning. 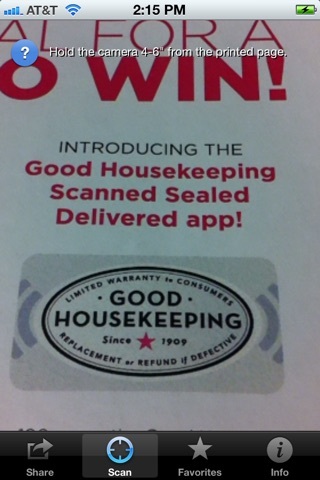 The only Good Housekeeping seals that can be scanned are the ones with the Wi-Fi symbol. Worthless App does not work at all!!!! Couldn't get it to scan...really wish this app worked! Not sure why other posters said it doesn't work, the app works great for me! 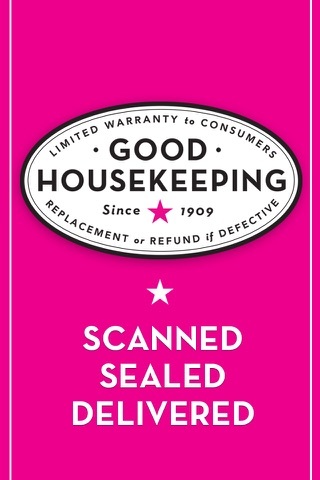 I did notice that the scan doesn't work for just any of the Good Housekeeping seals, it's for certain seals designed for this purpose. They have a grey colored square around them. Anyway I thought it was a fun way to advertise and encourage readers to look through the magazine plus the contests are great! 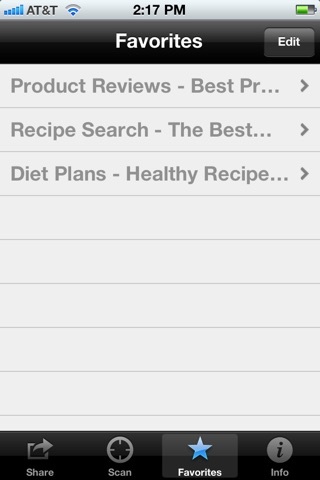 App scans perfectly on iPhone4. Retains info for future entries. I had an easy time scanning as long as the star was in pink. On two seals that the star was in black, I couldn't get it to take the scan. BHG programmers - you need to work on this.